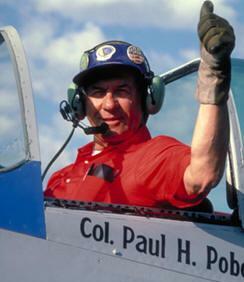 August 22, 2013 – The Experimental Aircraft Association (EAA) founder Paul Poberezny, passed away this morning to cancer, he was 91 (born September 14, 1921). The career of Poberezny includes nearly 30 years of distinguished military service as a pilot, test pilot and a veteran of both World War II and the Korean Conflict. Prior to retiring with the rank of Lieutenant Colonel, Poberezny became the only man in the armed forces to attain all seven aviation wings the military had to offer. Poberezny was able to accomplish this feat without ever having the benefit of military aviation training, a truly remarkable achievement in itself. In 1953 Poberezny organized the first Fly-In and in the same year he founded the EAA with a handful of other aviation enthusiasts in Milwaukee, Wisconsin in which he operated out of the basement of his Hales Corners (Wis.) home. Poberezny and his wife, Audrey, nurtured the small group and watched it grow each year. Poberezny was the organizations president and CEO he also served as Publisher/Editor of EAA's publications, including five monthly magazines and numerous technical manuals and research papers, for 34 years. In 1989 he became the organizations Chairman of the Board at which time his son Tom Poberezny became President/CEO. The Experimental Aircraft Association (EAA) is an international organization of aviation enthusiasts based in Oshkosh, Wisconsin. Since its inception it has grown internationally with over 175,000 members and nearly 1,000 chapters worldwide. EAA, which has often been described as the world's most dynamic aviation organization. Each year, EAA's international Fly-In Convention, named "EAA AirVenture," draws more than 500,000 people and 10,000 airplanes to Oshkosh, Wis., for one of the world's premier aviation events. In all, Poberezny has logged more than 30,000 hours of flight time over more than 70 years of flying. He has piloted nearly 500 different types of aircraft, including more than 170 amateur-built airplanes. He has also designed and built more than 15 different airplanes. Poberezny toured the U.S. and other nations on behalf of EAA, spreading a "grass roots" aviation message far and wide. He made frequent trips to Washington, D.C., to speak to Congressional leaders and federal aviation authorities, where he defended the rights of amateur aircraft builders and sport aviation enthusiasts while earning his livelihood as a military pilot and aircraft maintenance officer. Poberezny was considered one of aviation's leading spokesmen in the United States and around the world, representing the interests of more than 170,000 active EAA members at local, national and international events. In March 2009, Poberezny resigned and the Board voted to his son, Tom to Chairman of the Board. In 2010, it was announced that Rod Hightower would succeed Tom Poberezny as President of the organization. However, a year and a half later Hightower resigned and former Cessna Chairman, President and CEO Jack J. Pelton was elected Chairman. In a statement the Poberezny family said "We deeply appreciate all the support shown to Paul and Audrey over the past five months. As Paul often said, he considers himself a millionaire because through aviation he made a million friends. He leaves an unmatched legacy in aviation and can be best remembered by all the people who discovered aviation through his inspiration to create EAA. We also thank you for respecting our family's privacy during this time."